Plagiarism is a problem no matter where you find it. When it is uncovered, it can end journalism careers, sully the reputation of novelists and, if it happens in the academic world, get you kicked right out of school. Imagine my surprise, then, when I found out recently an article I wrote a couple of years ago had been plagiarized by a fellow blogger. This past Sunday, I was interviewing Benjamin Radford about his new book for Strange Frequencies Radio. During the course of our discussion, we talked about how frustrating it can be when, while researching a particular topic, you come across websites or even books which contain not just poor scholarship, but so-called “research” which has just been copied and pasted from the internet. Paranormal sites, it must be said, are often repeat offenders. Over the years, I’ve found a great number of ghost hunting websites whose articles and terminology pages have been lifted, word for word, from other similar websites. After the interview was over, while my co-host Bobby was uploading the recording we made to our server, I was checking out the internet when I noticed I had a new comment here on my Fortean Squirrel blog. A reader named John was informing me that, while reading an article I had written about fraud in the paranormal community, he noticed some similarities to another article he had read online about the same issue. He linked me to the blog post in question and I went to check it out. What I read was stunning. Large portions of it sounded very familiar. I opened up another page with my own article to check exactly how familiar it was. With only a cursory reading it quickly became clear that, not only did I write my piece a full year before this one, but that entire passages had been copied word for word. It was as if the blogger had simply copied and pasted sections of my article right into her own, not bothering to reword anything. This is not exactly the first time this has happened to me. As I mentioned earlier, plagiarism and copying is rampant in the paranormal community, and I have found entire blog posts I have written elsewhere on the internet without any attribution whatsoever. Even the Richard Dawkins Foundation once copied an entire interview I did as a contribution to The Bent Spoon Magazine, pasted it to their own website, and all I got was a tiny link way down at the bottom of the page which was nearly impossible to notice. Why someone would click that link to read my source article when they’ve already been able to read it in its entirety on Richard Dawkins’ website is a mystery. Still, while this sort of thing has happened to me before, this particular instance felt somehow worse. I guess I was happy someone liked my writing, but it just felt so dishonest and sneaky to steal it and pass it off as their own. I contacted the blogger, Pam Wellington, and chided her for her plagiarism. I explained how dishonest it is, and told her that it is shockingly ironic to be writing an article about fraud and poor research when she is fraudulently using my work as her own. She actually got back to me within about 24 hours and was, I felt, sincere in her contrition. She apologized for what she had done, and thanked me for calling her out on it. She said that, while she is normally very meticulous, she had probably rushed this particular article. I was not clear how simply being in a hurry led her to copy whole portions of my work into her own, but be that as it may. She promised to delete the sections she had plagiarized, and I’ve remained in contact with her to make sure of that, since she doesn’t seem entirely confident on what she stole and what she didn’t. I’m satisfied with the outcome thus far, and I thanked Pam for being receptive to criticism. She owned her mistake, and I appreciated that, even if I wasn’t happy with the situation that led to our correspondence. Some will say I let her off easy, and maybe I did. The truth is, I could have just made her delete the whole blog. But I didn’t really want that. I just wanted what was fair. If my rebuke leads to her being more careful about citing her sources in the future, and ensuring the work she says is her own really is her own, I consider that a win. 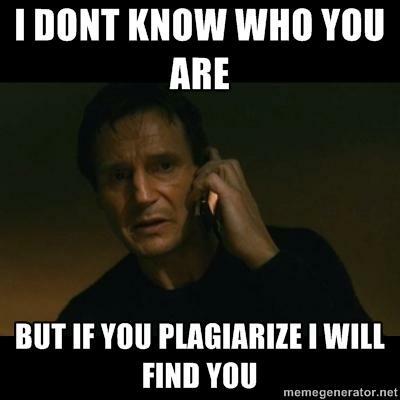 Plagiarism will likely remain an ongoing issue, particularly in the paranormal community. The one thing I think we can do is to call it out when we happen to find it. Tell the writer it is unacceptable, and affects your decision on whether you will continue reading their work. I haven’t always had good luck getting a response from people who I have found to have stolen my work before but, at least in this case, the outcome appears to be headed in a more positive direction. I’ve Received An Email That Made My Head Explode! Wanna See? I received an email recently in response to an article I wrote about the New Age charlatan Dannion Brinkley a couple of years ago. 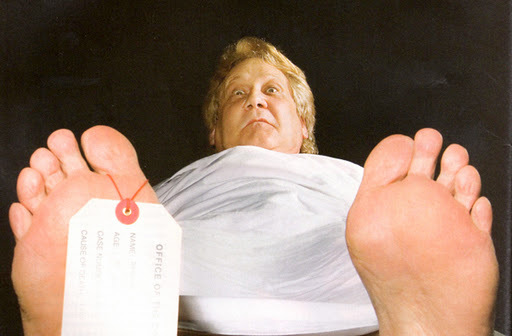 Brinkley, for those who may not known him, achieved fame by telling stories about Near-Death and Out of Body Experiences he supposedly had, and then repeatedly changed those stories when confronted by contradictory evidence. Read that article first, if you’d like to get some context, and then come back to see this. I think you’ll find it interesting. I offer the email for your now without further comment. Let me know what you think. Dannion Brinkley has been hijacked by the military industrial complex. Through thier contact with dimensional aliens theyve reduced what are esentially demonic processes down to a science. They have devices that allow them to astrally project…in as reliable a fashion as driving a car….and this have given them the mind of god and they can know EXACTLY what someone is thinking…and have a fully developed mind control network that can be used to alter someones thinking in as subtle a manner as necessary to keep it inconspicuous. Im telling you this because Dannion is one of thier guys..but unless you have the means to detect devices that exist in another dimension were stuck just bithching about it. So is Barack. Hes the worst. These people have an extensive monitoring and behavioral adjustment network that is based on Google and is assisted with artificial intelligence…and the program they use to control this network they call ‘Barack Obama’. Believe it or not. Alex Jones and Mark Dice are also a part of this network…and there are probably many others in government and especially in the banking sector. They have got themselves hooked up to all significant financial processes in society and can ‘summon’ at least a couple of banking personel for financial reasons without ever picking up a phone. But at least Dannion is right about Barack being prepared ahead of time to be a dictator through manufactured financial collapse. That shouldnt be a suprise. That troll Henry Kissinger said the same thing about Barack before he was even elected. Thier technology actually goes far beyond this. You could shoot Barack right through the head and he wouldnt die. Believe it or not. Do you remeber hearing any profecies regarding something like that? Hard to believe I know. Dont take your red pill…its all true. Just to clarify. Why Dannion? Look at his subject matter. Hes been recruited to lead people away from understanding heaven. Hes being instructed on how to lie about it. Amateur paranormal investigators love to find what they consider to be evidence of ghosts at private residences and businesses all across the country. EMF spikes, EVP, and a variety of creepy feelings and photographic anomalies all pass as proof positive of a haunting in their minds. But what happens when they find out the location they deemed haunted had been pulling the wool over their eyes? What do they do when they find out their haunt was hoaxed? That’s a question some of these folks may have to start asking themselves if Aron Houdini has his way. 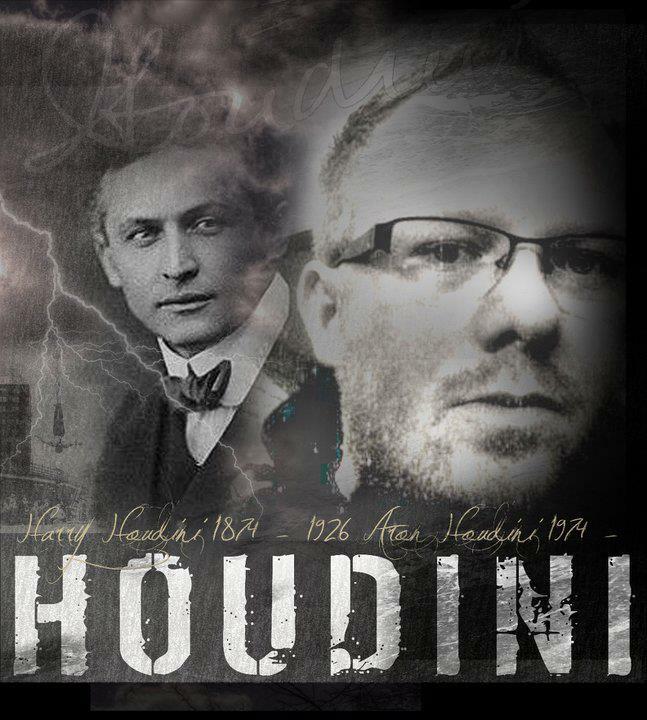 Houdini, a distant relative by marriage of the legendary magician; and a conjurer and escape artist in his own right, recently took to his Facebook page to announce that he had proof positive of a so-called haunted location faking paranormal phenomena. Confessing that he had “seen it with (his) own eyes,” he accuses this as of yet unnamed location of “making things move,” and creating “noises, shadows, apparitions.” Many of his friends and fans, ghost hunters themselves, offered their support and asked him to expose the location and its owners for their duplicitous ways. Despite their alarmingly unscientific methods, many ghost hunters pride themselves in their pursuit of the truth, and in helping people understand the nature of the spirit world. Though skeptics have long realized that the claimed “proof” of ghosts is really no more than proof they don’t know what they are doing, I think it’s fair to say that many ghost hunters have their hearts in the right place. I also think it’s fair to say they have their heads up their rears, especially when it comes to situations like Aron Houdini is referring to. The ghost hunters, it seems, consider themselves to be the victims in this ordeal. 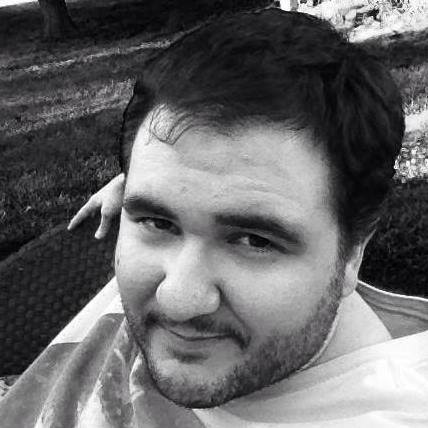 Commenting on Aron’s Facebook page, Allen Dunski, lead investigator and tech manager for Wisconsin Paranormal Investigators said, “People pay good (money) to go to events and haunted locations to experience something, not to be made to look like a fool.” Another ghost hunter going by the name of Blade Sighters wrote, “I would thank you for letting me know that I was fooled. And as for the people that fooled me, well, we will leave it at that.” Their comments were typical, though some were much more harsh. What very few of them seemed to understand or want to admit, however, was that it was ghost hunters just like them ultimately responsible for the con continuing in the first place. Solid scientific investigative techniques expose fraud. Unscientific nonsensical methods people copy from television shows help perpetuate the fraud. The fact is, these teams go into locations looking to find ghosts and anything they can’t immediately explain away becomes, in their mind, evidence of ghosts. They go through the motions of what they consider to be an investigation, call the location haunted, and share their “evidence” with other people and teams in the paranormal community. Those folks then check the location out for themselves, making the same mistakes the last group did. More “proof” of ghosts is found and the legend grows. Soon, the location is charging obscene amounts of money for ghost tours and renting the place out to would-be investigators. It’s an ongoing cycle. The hoaxers don’t even have to bother recreating the effects any longer. The eager investigators are more than happy to find ghosts in blurry photographs, hear them in the white noise from their recordings, and feel them in the tingle up their spine. All they need is a story to start them off and their lack of critical thinking will do the rest. In my opinion, the ghost hunting groups who validate the hauntings are just as responsible, if not more so, than the locations engaging in fakery in the first place. Their unscientific methodology and disregard for skepticism and critical thinking has helped propagate an innumerable amount of false hauntings across the country and around the world. 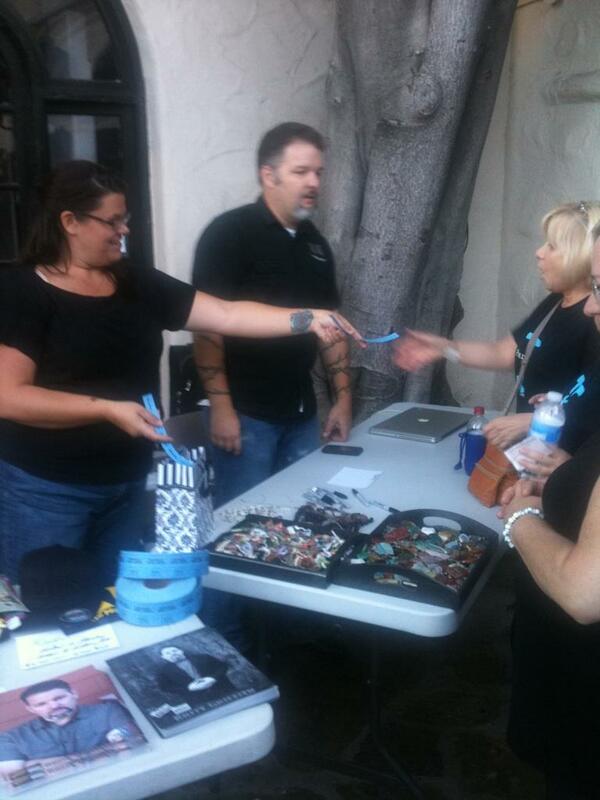 Who can say how many dollars hoaxed haunts have brought in with the help of testimonials from ignorant ghost hunters? And how many clients have these same teams unwittingly misled into believing their homes were haunted by using the same techniques? That’s the kind of stuff that keeps skeptics up at night. So when Aron Houdini eventually announces the name of the location he caught faking paranormal phenomenon, how many of the ghost hunters who validated that haunting over the years will apologize? How many will vow to stop investigating until they learn what they’re doing? My guess: few, if any. And why? Because they’re too busy playing victim to their own ignorance. 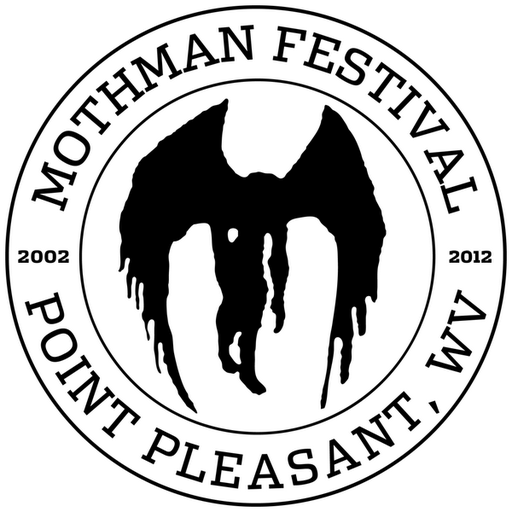 Along with my friends Bobby Nelson, Nick Callis and Jamie Coffin, I attended the 11th Annual Mothman Festival in Point Pleasant, WV over the weekend. I’ve been several times before, so it was nothing new for me. Still, we had some fun adventures along the way and back, got into some kooky conversations, and also interacted with some odd people. Britt Griffith, star of Syfy’s Ghost Hunters and Ghost Hunters International took the stage Saturday night at the Pasadena Playhouse to deliver a lecture on ghost hunting and to do a Q&A with excited fans. Tickets to the event, originally $30, were lowered to $5 due to poor sales. 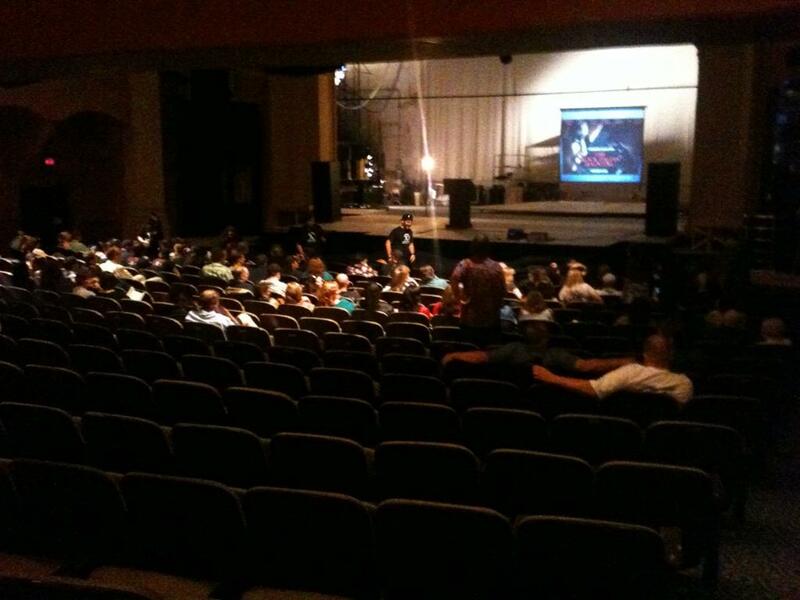 By the time Griffith took the stage, only about 1/3rd of the available seats were taken. After saying that he was a bit rushed and would only be able to talk for about an hour, Britt kicked off his performance by stating, unequivocally, that he never faked evidence on Ghost Hunters, nor did he ever see anyone he worked with fake anything. “I don’t know how they do things on other shows,” he said. “But we never faked anything.” And if that sounds like a weird way to kick off a show to you, I would agree. But roughly 35 minutes later, these words would blow up in his face. Britt put on an entertaining show, Lou told me. He told jokes, regaled the audience with tales from behind-the-scenes of the Ghost Hunters program and showed clips of pranks the cast has pulled on each other. He also gave advice to would be paranormal investigators, explaining why the crew uses certain pieces of equipment and warning that, should they ever be traipsing around in abandoned locations, it may be smart to invest in a carbon monoxide detector. Later, creating a bit of an “Us vs. Them” atmosphere, Mr. Griffith gave a few of his thoughts on skeptics, pooh-poohing “what skeptics would have you believe” as it pertained to paranormal photography and EVP recordings. What really got the audience excited, however, was Britt’s buildup to a secret piece of video never before seen from one of their televised investigations. “West Coast Correspondent Lou” described it as “black and white night vision footage of a hotel where, down a hallway, what looked to be an elderly man moving right to left, then left to right” could be seen. It never made air, apparently, due to the request of the proprietors of the location itself. They felt that showing this on television would possibly scare clients away, or maybe even stir up activity at the location more. Griffith stated that there was no one down the hallway who could have been pulling a fast one on them. Certainly no one that could have escaped the watchful eye of the video recording equipment set up. And if a skeptic tells you that it could have been faked by the crew themselves, well remember, TAPS never faked anything while Britt Griffith was around. It was at about this time, when the atmosphere in the Pasadena Playhouse was at its peak, that something strange happened. A light fixture which was placed up on-stage began to flicker a bit. What was happening? Was the power going to go out? Then, quickly, it moved, right around 3 inches or so and seemingly on its own, back and slightly toward the left of stage. The audience gasped and one attendee shouted out, “Did you see that? It moved!” Tension was beginning to mount and excitement at what was thought to clearly be a paranormal occurrence was at a fevered pitch. Griffith, seemingly oblivious to the movement of the light fixture asked for details from witnesses. 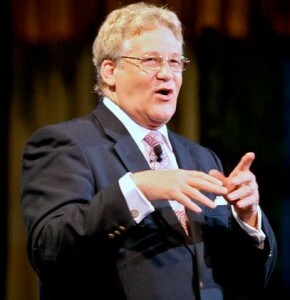 He asked folks to keep an eye on it and, before continuing with his presentation joked, “if it moves towards me, someone please let me know!” He pressed on with his talk, but it is easy to understand why many of the eyes in the room were focused elsewhere. Just then, mere moments after the original event, the light fixture moved again. Not quite as far this time, but certainly a noticeable distance. People began to scream once more and onlookers rose from their chairs. The room filled with the light of a dozen or more flashbulbs going off in an effort to capture real-life paranormal phenomenon on camera. Soon thereafter, and once things settled down, Griffith finished up with the Q&A portion of the evening and those curious about the light fixture walked up onstage to check it out for themselves. Mr. Castillo hurried to be among them. He witnessed a few people taking photographs of the fixture, but jumped in front of them to get a better look at the setup before they could start touching it. The first thing he noticed, he said, was how heavy it was; certainly not something that could be moved easily. He also noticed the base of the fixture and the thick electrical cord that was attached to it. But immediately doubts about the authenticity of the event came to his mind. The cord was was stretched out as straight as could be, not at all how a cord would look if the light fixture it was attached to had moved on its own. In that case, one would expect the cord to have some slack to it and perhaps even be in an “S” shape. And it was then that he noticed where this very straight cord led: back and to the left of stage, behind the curtain of the Pasadena Playhouse. Exactly the direction the fixture had moved toward two times earlier. Easily, Lou saw how someone could have pulled the cord from behind cover to make it appear as if the fixture was being moved by an unseen phantom. While Lou could see all the evidence pointing to fakery almost immediately, the others folks around him couldn’t. Nor, he says, would they listen to reason. While they were discussing their luck at having witnessed true paranormal activity, Mr. Castillo tried in vain to explain to them what probably really happened. In fact, he even had a suspect in mind to who pulled off the stunt. A younger blonde woman, who he says attended to Britt throughout the evening and was possibly an employee of the theater, was suddenly nowhere to be found. But the other TAPS True Believers (TTBs) were unswayed. Lou was told that he was taking the wrong perspective, or even just denying what they all had seen with their own eyes. “But it moved!” one said to him. “You’re just a skeptic.” A friend of Lou’s, who was attending the event with him, stepped in at this point. Lou, he told them, was not a skeptic at all, but someone who very much believed in ghosts. And though Lou tried his best to explain to the onlookers that, while he would love for it to be real, what they had all seen was likely a very simple trick. But it was useless. The others had saw what they saw and their minds were made up. It was a paranormal event and no one could tell them otherwise. Their money was well spent. I have seen similar instances much like Lou described to me in so-called paranormal hotspots across the country. In both private residences and public locations, “seasoned paranormal investigators” and other curious onlookers fall for obvious hoaxes or fool themselves into believing that a natural event is something paranormal. In many of those cases, the expectation of ghostly activity trumps rational explanation. But with Britt Griffith and the Pasadena Playhouse, I think the fame and respect factor played in heavily. Not wanting to believe that Britt Griffith, a TAPS team member they look up to and have enjoyed watching on television, could be involved with staging paranormal activity, they ignored all the evidence that pointed toward a hoax and instead walked away believing it was genuine. Was Britt in on the fakery? There is no way I can say for sure. Perhaps a rogue Pasadena Playhouse staff member decided to spice things up a bit. After all, the theater has a few paranormal legends attached to it and has welcomed amateur groups in before to investigate. This could have been a perfect opportunity to add to the stories. And, probably, add to the ticket price of future events as well. What I am sure of, however, is that there was no paranormal activity involved Saturday night. But a number of people, falling victim to expectation and the loss of critical thinking in the face of someone they deem to be an authority figure, became yet another case study in the psychology behind perceived paranormal experiences. Then again, some folks call me a skeptic. So maybe that’s just what I would have you believe. Right, Britt? There is a paranormal group that goes by the name of Ghosts of New England Research Society. G.O.N.E.R.S, for short. Recently, they began publicizing a hoaxed ghost photo as authentic. They have also been using the hoax, in part, to promote an episode of the Discovery Channel series “American Haunting” that they’ll be featured on this fall. Understandably, this has gotten a number of people in the paranormal community up in arms. 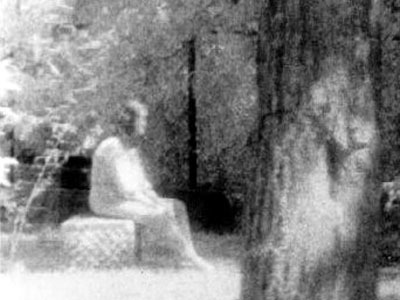 Fraudulent ghost photos are something most investigators decry and, indeed, it was skeptical paranormal investigators themselves who spotted the fraud in the first place. 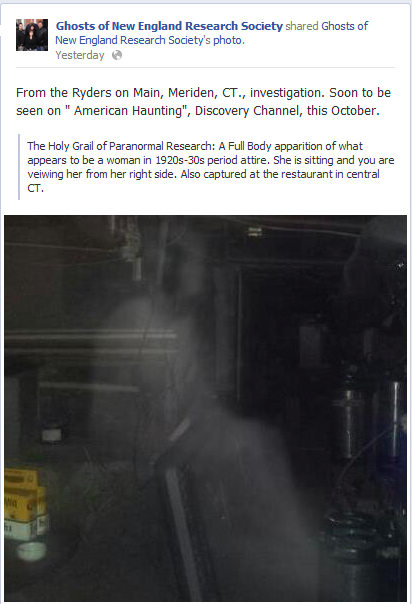 The photo, taken at Ryder’s on Main, a bar and restaurant in Meridan, CT shows the hazy silhouette of what G.O.N.E.R.S calls “The Holy Grail of Paranormal Research: A Full Body apparition of what appears to be a women in 1920s-30s period attire…” Of course, anyone familiar with famous ghost photos recognized this image as the well-documented “Madonna of Bachelor’s Grove” taken at the Chicago cemetery by members of the Ghost Research Society in the summer of 1991. It had simply been superimposed on a photo taken inside Ryder’s on Main by way of photoshop or perhaps even a smartphone app. Skeptical paranormal investigator Kenny Biddle who, in full disclosure, must also be noted as a contributor to The Bent Spoon, first spotted the forgery on Facebook, drawing attention to the striking similarities between the images and quickly swayed opinion. While many on the thread were originally hyping it up as a great piece of evidence, they soon turned to castigating the paranormal team in question for using it to market themselves. The story soon went viral and Ghosts of New England Research Society took the image down, apparently not commenting publicly on the matter. Many in the paranormal community have taken this incident to be the prime example why paranormal investigation is not accepted by the scientific mainstream. 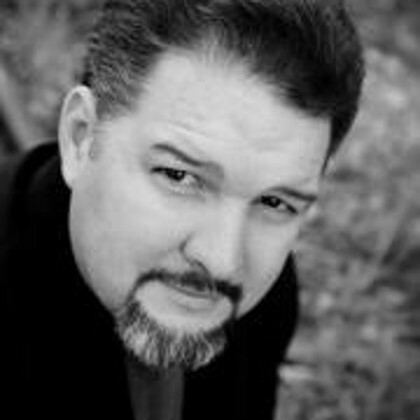 Even Brian Harnois, former cast member of the longest running fraudulent paranormal reality series on television, Ghost Hunters, said it is incidents like this that caused him to retire from the field. In defense of G.O.N.E.R.S, it is unclear whether they hoaxed the photo themselves, or were duped by the bar/restaurant. Either way, however, the paranormal team is culpable. They should have known how famous the Bachelor’s Grove image is, for one. Secondly, they should not have publicized and promoted the photo from Ryder’s on Main to get attention for their upcoming television exposure. They fell into a trap they set themselves with their own ignorance. But is this really the cause of paranormal investigation not being taken seriously by science? Is fraud really the reason ghost hunters don’t get more credit from the scientific establishment? I think not. Fraud happens in science as well. Things like peer review help eliminate it, something most paranormal enthusiasts don’t seem to use. But even having examples of fraud throughout the history of science gives no one logical license to distrust the scientific process. It has worked for hundreds of years. No, the reason ghost hunters are not taken seriously by science is because they do not respect science. Ghost hunters, by and large, have a fundamental misunderstanding of how to operate under proper scientific methodologies or even to control their experiments. The evidence they put forth is not given credibility because it isn’t evidence. At best, it is often just anomalies they found on their digital voice recorders or readings they took on their EMF meters. Anomalies which, by the way, have been explained countless times by science-based investigators. If there’s a lesson that can be learned from Ghosts of New England Research Society, it is this: your photographs are not proof of ghosts. But it can be proof that you don’t seem to know what you are doing. So, if you want to be taken seriously by science, start taking science seriously and educate yourselves.